We all use smartphones and tablets for fun. They are quite commonplace now. Every other person has a tablet and every third person has a tablet. But, fun is not the only category these gadgets are eyeing. Device manufacturers are making efforts to woo all kinds of people and organizations, whether it be Businesses, educational institutions or even adventure sports enthusiasts. The tablet and smartphone category is becoming so diversified that we are spoilt for choice. Each and every person has the freedom to choose a smartphone or tablet to suit his/her needs and one of our biggest needs is education. Aside from businesses, the next group of people that ought to be targeted by smartphone/tablet companies is students because they are the most important part of the society. Students, whether from schools or colleges need to be initiated into tech at a younger age now. Affordable tablets have opened a window for computer literacy for students from all domains like never before. The Aakash tablet might be a failed attempt by the government, but there is a range of economy tablets that you can get your hands on. From an educational standpoint, the relevance of smartphones and tablets is huge as they have the convenience and the power of usability and affordability that PCs never did. Besides educational apps and educational games, there is a lot of stuff out there for students. Even an organization as large as Apple has realized the relevance of textbooks and has begun a large-scale operational with iBooks to, in their words, ‘revolutionize textbooks’. Initiatives from organizations like One-laptop-per-child (OLPC) are not to be ignored. 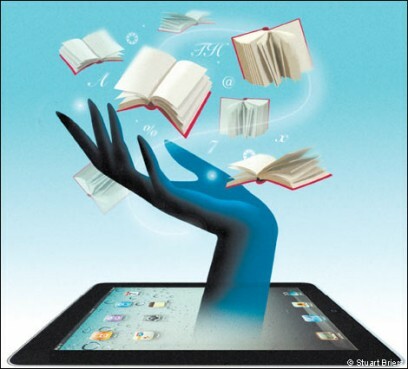 Educational tie-ups such as Educomp might in the future cash on the growing popularity of tablets. Smartphones too can be equal partners in our educational future as they have now so many features that they can too be used for educational purposes such as creating an audio recording of classes. The apps we use just for fun can also be informative. Some educational apps out there include iTunes U by Apple and ones such as Math Bingo. As I see it, smartphones and tablets are an important part of our educational future.